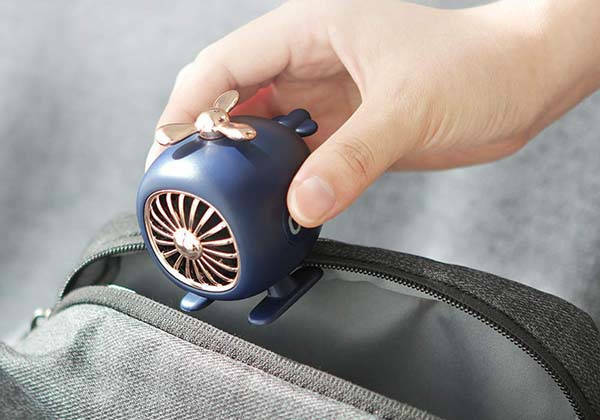 The cute helicopter mini Bluetooth speaker not only delivers your favorite music, but also serves as an ideal decoration to add some vivid aesthetics into your daily life. Like the idea? Let’s keep checking. This is a pretty adorable and versatile Bluetooth speaker that measures only 2.8×2.4×2.7 inches and weighs 4.2 ounces. 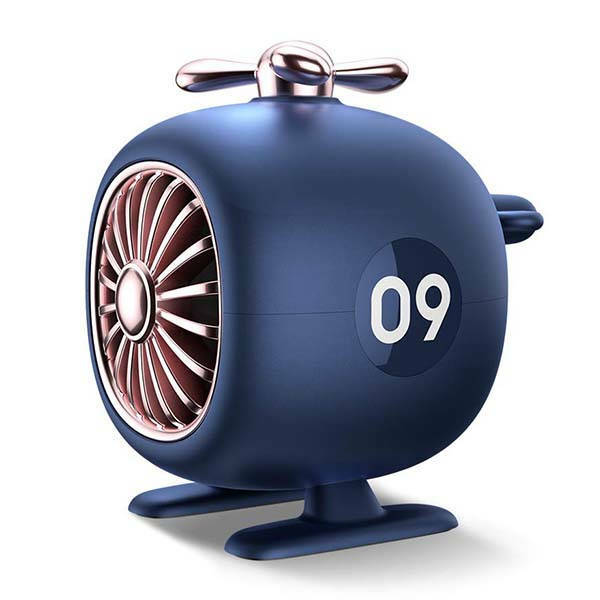 As we can see from the images, the speaker is inspired by helicopter, but the rounded body and smooth contours show off a cute cartoonish appearance design, while the glossy finished propellers bring more stylish aesthetics while compliant to the adorable style. Meanwhile, two optional colors allow it to meet more personal preferences, and the compact form factor lets you easily store it in any pocket of your bag. The mini Bluetooth speaker is designed to deliver decent mono audio from the tiny body. The propeller on the top is the volume button, and built-in microphone lets you conveniently make or answer handsfree calls. Moreover, built-in rechargeable battery offers up to 6 hours of playtime on a 1.5-hour full charge. The helicopter mini Bluetooth speaker is priced at $14.99 USD. If you’re interested, jump to the product page for its more details.